The year is still young, so I’m hoping that you’re still going strong on your resolutions. 🙂 I found (but I forget where I found them) a couple of time management tools that look really good. Perhaps they could be useful to you. Toggl: I guess leaving the vowels out of words is a thing now (e.g., Tumblr, Flickr). Aside from the odd name, Toggl appears to be useful mostly for businesses or for managing your time at work, but I could see how it could be used for writing: you can see just how much time you’re spending on the Internet or vacuuming or washing dishes when you ought to be writing. And for the really super-organized folks among us, it allows you to color-code your projects. I imagine that this would be an excellent tool for someone who is just starting out with writing and doesn’t want to be on a really rigid schedule. Who knows? One (or both) of these might be useful. Rather than Toggl, I use Rescuetime which I’m able to customize and get a weekly report letting me know if I’m being “productive” or not. I’ve never heard of your second productivity suggestion, I’m going to have to check that out! Very cool, thank you! I’m putting that on my list of stuff to try! Ooh, I need to try that one! I have never tried Pacemaker but it seems interesting. 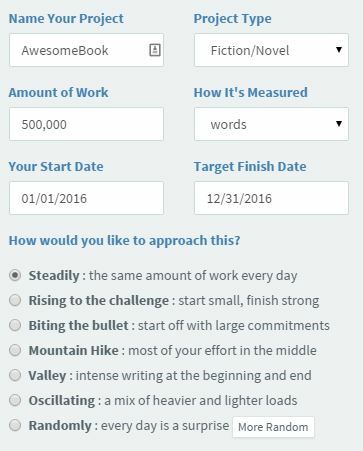 I’d like to suggest you Grammarly (https://app.grammarly.com/) and Timeneye (https://www.timeneye.com): I like it more than other time trackers as the free account has no limitation for reports and integrations. Timeneye looks interesting. I’ll give it a try. I’ve tried Grammarly before, but I don’t really care that much for it. Thanks for the suggestions! Hope all is well with you in the new year! Looking forward to catching up on all of your blog posts! Thanks for posting the app recommendations. I will check them out. 🙂 All the best! Thanks, Tara. I hope your new year is going well, too!